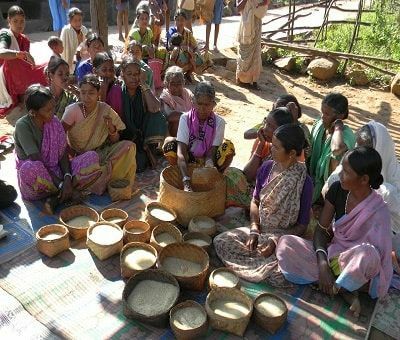 The District KANDHAMAL is predominated by the primitive Tribal people called “KANDHAS”. They are very simple and very innocent by nature. Since time immemorial they had been living very peacefully and very cheerfully with their own resources and own cultural tradition. Forest was the lap of their mother and it was an all support benefactor to them. 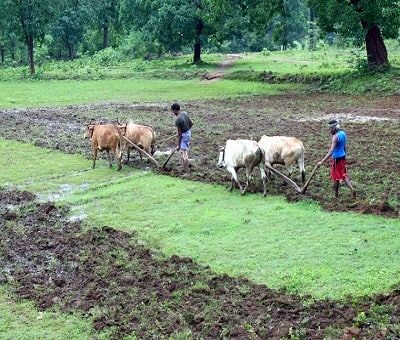 The existing lands adjacent to particular villages were almost occupied and cultivated by the primitive Tribal people and there was no restriction for the same. So, it is clearly revealed that the Tribal livelihood was based upon three basic elements such as LAND, FOREST and CULTURE. They were having strong faith upon their Goddesses, the “Dharni Penu” and “Saaru Penu” and were being blessed for a common lively-hood. Moreover, the primitive Tribal people were far away from the mainstream of the present society. Though they were illiterate, ignorant and innocent by nature, their lively-hood was up to a remarkable standard and worth-observing. Since, time immemorial all the hilly-dwelling primitive Tribal Community and the Schedule Caste Communities were staying very peacefully and their lively-hood in toto was based upon three basic elements called LAND, FOREST and TRIBAL CULTURE. Forest was the lap of their mother and it was an all support benefactor to them. But in course of time, their fortune invited their misery and misfortune and they became social victims.If, we go through the leaves of the primitive history, we will find that the severe exploitations and sheer deceits of the Kings, Zamindars, and their successor bureaucrats have made the people suppressed, oppressed and depressed. More over, just after Independence, observing the healthy situation of the Tribal belt, some out side Businessmen and Money Lenders with an intension to take the best advantages of their business entered the tribal belt having a micro-policy. Initially, these exterminatory groups established friendship and relationship with the hilly-dwelling innocent people and started their Business. 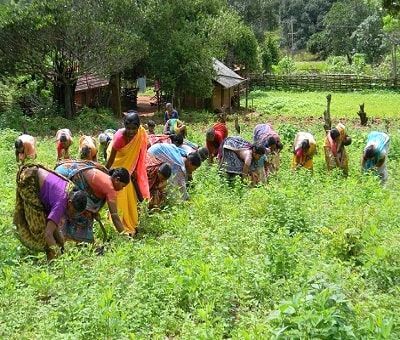 By means of their micro-policy the Invader groups gradually exploited the people of this tribal area and looted their forest produces, cooking utensils, silver ornaments, Gold ornaments, Animal Resources and finally hi-jacked their cultivable lands. The interventions and the interruptions of the Exterminatory groups made the innocent people proletarians and bended their social backbones. Hence, in present position more than 90 % people loosing their social identification have become dumb and voiceless and struggling for their existence. The deteriorating socio-economic condition compels the people to become bonded labourers and some people leaving their native places go on migration/ which is the final stage of life and this stage of life is full of tragedy and desperation. The sorrows and sufferings being multiplied to numerous surprisingly raise to an extreme extent where as the fascination of living ahead compels the male members to become professional beggars and the women out of the Hunger and un-tolerable pain of their belly go for prostitution.Sometimes, the situation invites them to take their last breath falling on the roadside or committing suicide. This is the real social scenario in this tribal belt. The socio-economical statistical survey at random reveals that more than 90 % people stay below the poverty line. 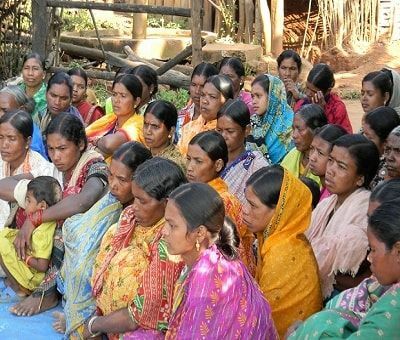 Majority of them are either landless Agricultural labourers or forest produce depending survivors. So, the economical balance in the society is always immeasurable and the financial crisis is the hour of the day. The more strange that even in this scientific age people in lean season live on roots and leaves of the forest. The root cause of this poverty and hunger is told to be the severe exploitation and sheer deceits of those four exterminatory elements. They have bended the backbone of these hilly-dwellers in such a manner that they are unable to get hold of a twinge for their survival and upliftment rather, they prove their foolishness by “more labour less earning”. The natural calamities are another factor which unexpectedly hit the people and create a barrier on their improvement. Hence, problems being multiplied to numerous have weakened the backbone of these people. Though, a number of sophisticated developmental and welfare programs are adhered by the Government and N.G.Os, no more progress and prosperities are seen in the life situation of the People. Hence, it is the time to take absolute care of these hilly-dwellers and to solve their problems accordingly. Though other pressing programs dominate each other and play a secondary fiddle to development, financial crisis especially in this Tribal belt is very common and the scanty income of the down-trodden mass intervene all developmental aspects. Hence, a gradual increase in their income and permanent employment solution is a must. The deteriorating condition in Social, Cultural and Economical drawbacks give a notion of blames to the scanty income of the family because of the inefficiency in employment. Hence, “ARASMIN” before all has thought it gainful to launch a campaign on socio-economic enhancement as a model and demonstration. The Education as a whole has not rendered its services to the poor innocent people of this Tribal predominated belt. 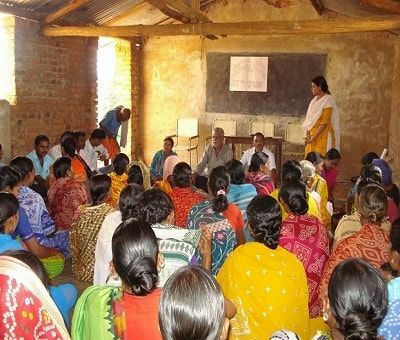 The Literacy rate in total is only 27.3 % where as the women literacy alone is 8.5 % only. The ratio is not in support of the statement because of the Social, Economical and Cultural drawbacks of the people. Hence, encouraging the people and the new generations on Education is the hour of the day. Due to the deceiving rainfall the climatic condition of this area remains cold constantly and the atmosphere maintains sub-normal temperature which invites the Health hazards and creates misery and misfortune for these hilly-dwelling inhabitants. Some people seem to be affected with disease and some people having emaciated body coat seem to be affected with draught and famine. People do not have the tolerance capacity to very minor diseases. The deteriorating socio-economic condition of the people does not permit to take worthy nutritional diets which results into an increasing rate of mortality. Further the poverty stricken families do not priorities on health needs of the mothers and children which is also backed by lack of health awareness, defunct Health Care system and lack of administrative will to change their fate towards the better tomorrow and the vicious cycle revolves around by simply accepting the on-going situations. Malnutrition, illiteracy, backwardness and many more community problems are leading towards the poor health situation of the rural community and the ultimately the mothers and children of the society are the spent victims of the situation. Scarcity of drinking water is a standing problem that creates obstruction for a healthy life and long survival. People use the water of “CHUAN” for drinking and cooking purpose, where the cattle, buffaloes, dogs, jackals and birds are drinking and taking their bath. Hence, all the people of this area are susceptible to some water-born diseases and some contagious diseases like Pneumonia, Hooping cough, Typhoid, Para-typhoid, Diarrhea, Dysentery, Dyspepsia, Constipation and peptic ulcer etc. The fever Malaria takes a fatal course and tortures the people very often. Sometimes it is converted to Meningitis and invites the death of the patient. This very area is identified as a Malaria belt. Anemia, Edema, Cancer, Sickle cell, Neurological diseases and skin diseases are very common in this area. The most dangerous disease HIV/AIDS is also rarely identified at places. Some hereditary diseases take fatal course causing the moral turpitude of the poor people. Scarcity of worthy diets is the main cause of crude-birth, infant mortality and children morbidity. The survey conducted by the Government of India revels that the rate of crude-birth is 4.5 % per annum where as the infant mortality is 6.3 %. Hence, the children are the major sufferer mass. One can easily identify the children living in this Tribal belt. Moreover, the poor people do not have the knowledge of taking child care which is the main drawback of the children morbidity. The rate of maternal mortality is very high in this area which comes to 8.5 % per annum. 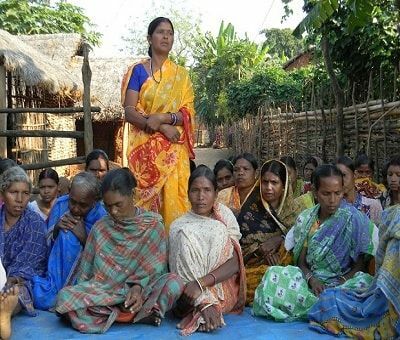 Not withstanding the fact that the women are the venerable segment of the society are most neglected unprivileged, poorly treated and significantly suffered have been seldom taken care by the Health Care initiatives. Hence, the mother-hood careers of the women mass have become a curse for their lively-hood. Pre-natal death, Post-natal death is very prominent. A large number of women die at the time of their delivery due to delay in decision making, delay at delivery time and delay at Doctors level. Hence, protection for safe mother-hood life is the hour of the day. Moreover, the people of this area are far away from Health education and quite ignorant of preventive measures. They do not care to immunize their children against different infectious diseases. Blind belief and witch craft are other regrettable factors adopted by almost all, those invite the abnormal stage of the disease. Some times the inadequate knowledge in health education causes drug abuse and ultimately the patients invite their death. The poor category is the most sufferer category who are struggling enough for their survival and they are unable to purchase the medicines from the market due to financial crisis. The Government Officers and the staff of the Health Department are not so punctual to perform their duties very carelessly. Sometimes they ignore the people intentionally with some mollified intention of exploiting nature. The medicines supplied to the dispensary and health centers are mis-utilized by them and the preventive measures are not properly taken-up by them. The carelessness of the Government officers is another misfortune for the poor hilly-dwellers. Hence, the LIVELY-HOOD of the poor tribal people residing in this area is so precarious and heart-burning that can not be expressed in words. Traditional treatment and blind belief is another drawback for the livelihood of the Tribal community. 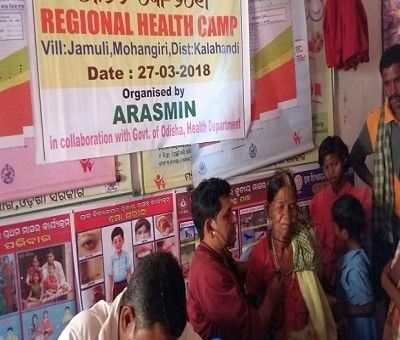 The patients of high fever having abnormal temperatures in their bodies are taken to the tube-wells and buckets of water are poured on their bodies and then the patients are drenched with stale rice gruel. If at all, the temperature does not reduce and comes again the people think it to be the attack of the spirit and call for black arts men. In this process, the disease grows to chronic stage and a number of patients take their last breathe which is a regrettable matter in this scientific era. It is only due to lack of knowledge in Health Care. The infrastructure for Health Care is adequately inadequate. Private consultancy or clinic on Health services does not exist in this area. So, the People are deprived of getting affected services on health care for that it will never be exaggerate to mention that the health care services in this area is absolutely “NIL”. The Tribal culture plays a descriptive role on the life situation of all the hilly-dwelling inhabitants because all other communities are also well acquainted with this tribal culture. Mainly, they worship the Goddess “EARTH” and Goddess “JUNGLE”. The lively-hood of these hilly-dwelling people is always accelerated by the tribal culture. A critical analysis and deep penetration in to tribal culture will prove that it is based upon the primitive science and economy which is far better than the modern science and modern economy. But, the interventions of the migrated Money Lenders and Businessmen have polluted their culture by motivation resulting them to lead an phase-out life. Hence, an exploitation in tribal culture has also taken place. As regards to the Matrimony in this Tribal belt, early marriage and inter-caste marriage is a general issue and which is not treated as a serious offence. Poly-gamy/multi-marriage system is also allowed by their society. Unwed mother tradition is yet a standing curse and prevails as a seducer. Instances are there that some Govt. officers and some contractors working in this area with the aim to fulfill their sexual appetite trap the unmarried girls. The expectations of the girls to marry in a higher caste and to merge in a higher society compel them to believe those traitors and love them. But, finally, the sheer deceits of those exterminatory elements make the girls social victims and they remain as unwed mothers. All the hilly-dwelling poor Tribal communities and other minor communities were managing their lively-hood depending upon the forest produces. They were collecting Mangoes, jack fruits, Mohua flowers, Proproots, Amla, Black-myrobalan, Belaric-myrobalan, Regin, Khalli leaves, siali leaves and fire woods etc., and were selling in the local market after their own consumption. But, in present position their entry to forest area is restricted and banned by legislation as a result of which they are unable to enjoy the said facilities openly. Moreover, it has become an opportunity for the officers and personnel of the Department to exploit the poor people by charging unlawful penalties. 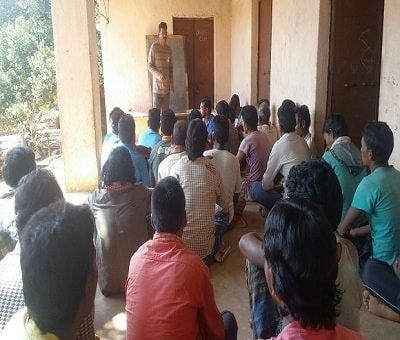 The people belonging to Schedule Caste Community have become the habitual forceful occupiers of Tribal Land, Stealing the crops, household articles and animal resources like goats and poultry birds of the people belonging to Schedule Tribe. Sometimes, they are kidnapping the Tribal girls for marriage purpose and leaving them after two to three years. Hence, this type of disturbances and violations are the root cause of Ethnic Issues occurring from time to time. The Tribal lively-hood is based upon three basic elements such as : LAND, FOREST and TRIBAL CULTURE. Since, time immemorial all the Tribal people have been depending upon the FOREST for their lively-hood management. But, the Government of Orissa at present have banned the entry of the people to forest area by legislation. So, the poor people are deprived up from all natural resources which are the gift of God for their lively-hood. 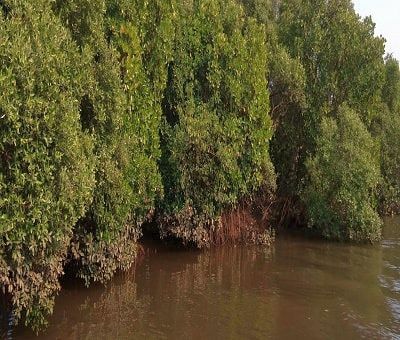 Hence, it has become an opportunity for the officers and personnel of the concerned Department to exploit the people who are entering the Forest for collection of different Forest Products by means of charging severe penalties both officially and non-officially. In this endeavour all the poor T ribal people are struggling for their daily bread. Migration can be divided into two categories, such as : (i) Natural Migration (Displacement) and (ii) Artificial Migration. Artificial migration can be defined as a creative migration. Natural migration is caused by the people themselves due to lack of knowledge on lively-hood management and foresightness. So, those people loosing gradually their household articles, silver and gold ornaments, Animal resources, landed properties and their own social identification are going on migration. Severe exploitation may be vital cause of this migration. But, artificial migration is a creative mass-migration caused by the Government Machinery. The Government in the name of Industrial development is providing thousands of Acres of land to different veteran companies on long-term lease basis. So, the people have nothing to protest and if at all they protest, nobody is there to go through their grievances; rather they will have to struggle a lot and suffer to an extreme extent. Hence, mass-migration is very common now a day.